S parkling diamonds, bright coloured gemstones, shimmering pearls – every year at the Inhorgenta Munich hall C1 “Carat” turns into a fantastic treasure trove. From February 16 to 19, 2018, around 200 exhibitors will present the finest gemstones and diamonds in their most beautiful facets. “Even if gemstones are too valuable to inspire only for one season, there are certain preferences among the end consumers, depending on the specifications of the fashion world,” says Stefanie Mändlein, project manager at Inhorgenta Munich. “Colour trends trend every year in fashion from Paris, Milan and New York”, confirms Alexander Arnoldi of the Idar-Obersteiner company of the same name. In fact, the trend nuances proclaimed every year by the US colour organization Pantone have a big impact on the preferred gems. The contenders for the Pantone colours for 2018 are Yves Klein Blue, Millennial Pink and Papaya Orange. The Inhorgenta Munich 2018 shows these tones in gemstones. Nicole Ripp, Managing Director of the Idar-Obersteiner Grinder Groh + Ripp says: “I’m a big fan of Yves Klein. Did you know that he painted with crushed lapis? Our best Lapis comes from Afghanistan and is steel blue without pyrite inclusions – a dream for any connoisseur of opaque stones. 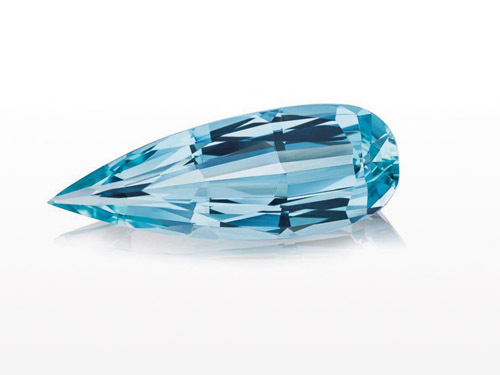 “Arnoldi also wants to present the azure-blue in gemstone at the Inhorgenta Munich 2018.”The aquamarine with its varied nuances is a popular companion of the fashion industry for many years,” says Alexander Arnoldi. 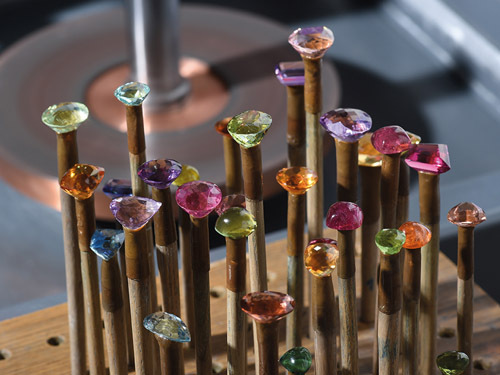 Paul Wild from Kirschweiler enjoys a worldwide reputation as a supplier of rare coloured gemstones. Markus Wild, head of the family business in the third generation, was inspired by the painting “Paradise Garden” by the painter Henri Rousseau to create a unique collection of gemstones. “We were looking for an inspiration that expresses nature, romance and joie de vivre,” says Markus Wild, “then we discovered the artwork of Rousseau.” The team of Paul Wild translated the tones and moods of the painting into fantastic gemstone sets and sets, all at the same time Some of the trimmings in rich jungle green and tropical blue are a perfect match for the trendy colours, and our proposals are in line with the floral trend in design that permeates all shades. Now, greens in all sorts of nuances are most in demand. But rosé and light blue are in great demand too. “The company’s bestsellers are Paraíba tourmalines from Brazil and Mozambique, spinels from Tajikistan and Tanzania and Tsavorite from Kenya.